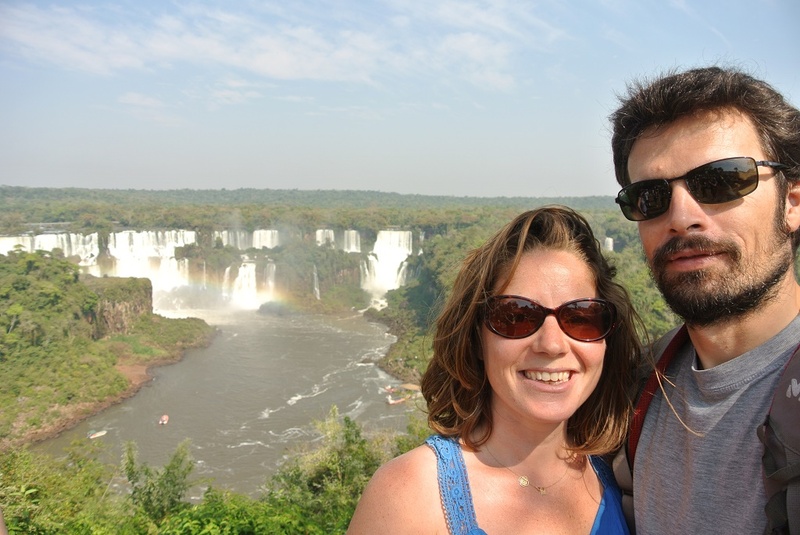 Here we are in Iguacu, where we enjoy an official camping! 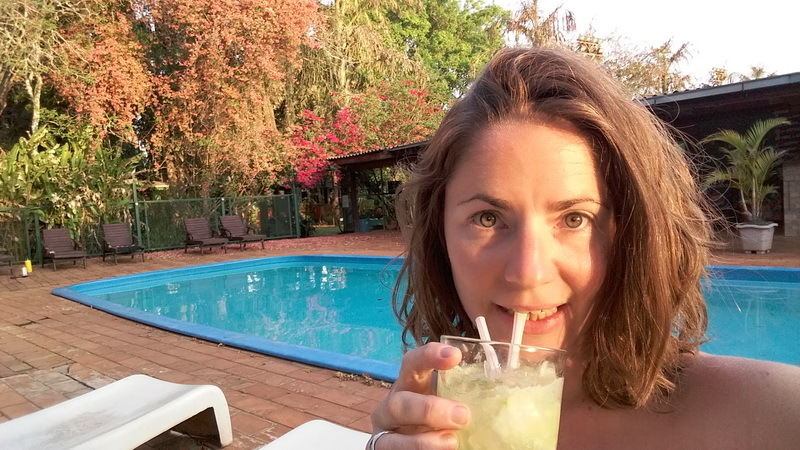 On our to-do list : relaxing, Caipirinha, swimming pool and beers with a french couple finishing their one trip around south america in a land rover, they give us many advices. 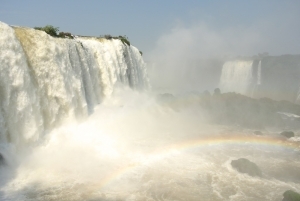 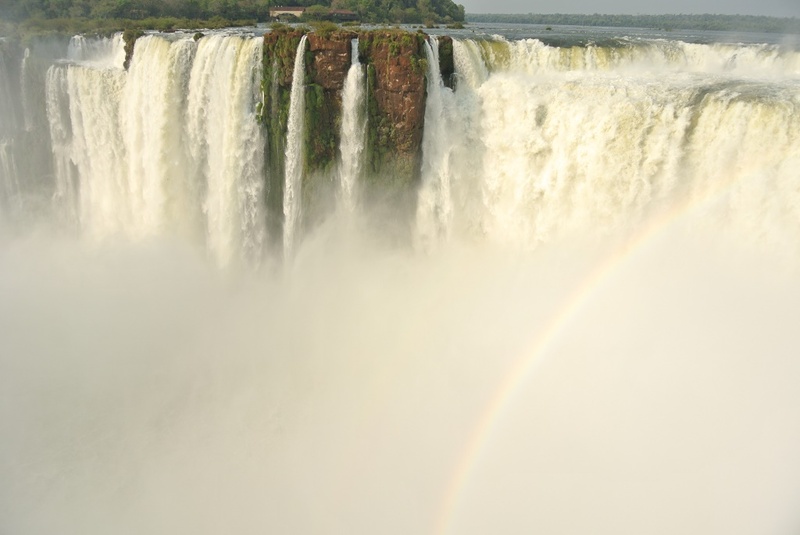 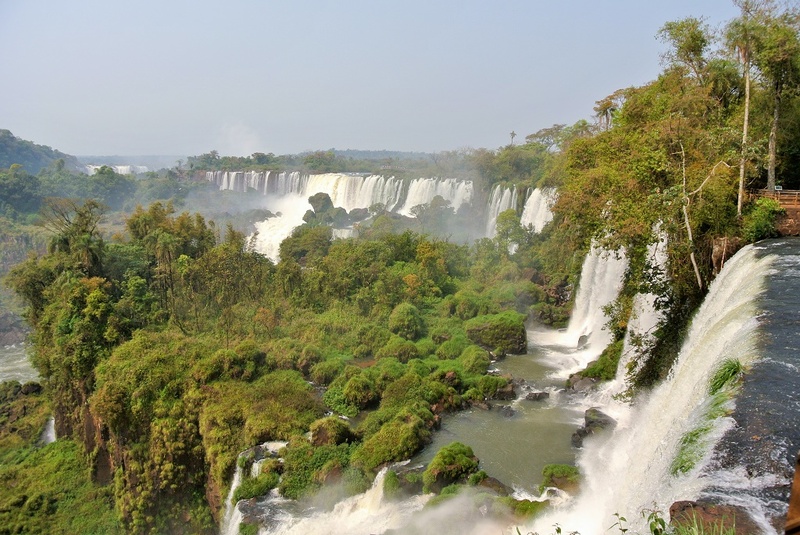 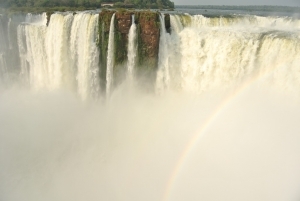 The famous Iguacu falls, located at the junctions of 3 countries (Brazil, Argentina and Paraguay) are just nearby. We spend our first day visiting the argentinian side, before going to the brazilian side. 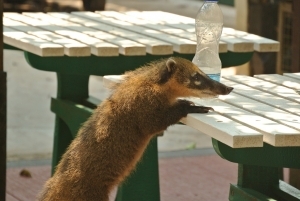 No wonder, they deserve their reputation! 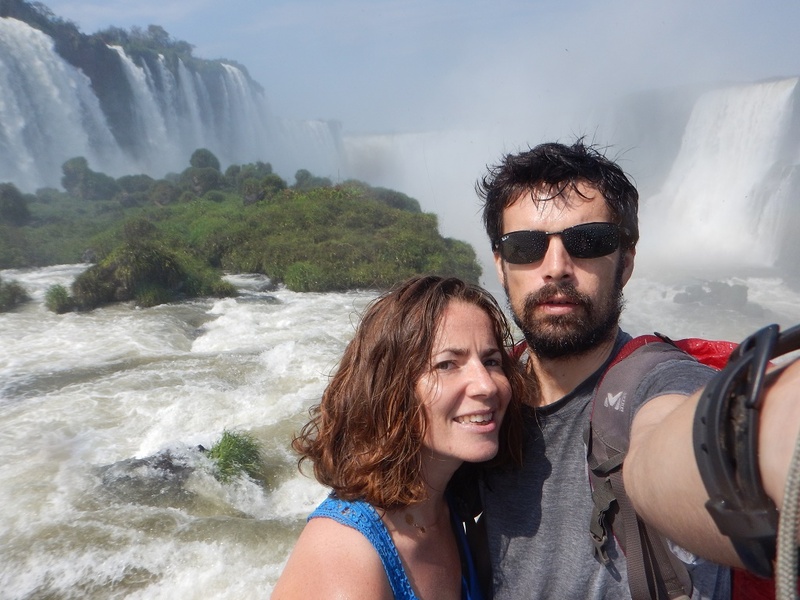 The argentinian side is bigger, with more lookouts (and more expensive) but the view is more impressive (and wet) from the brazilian side. 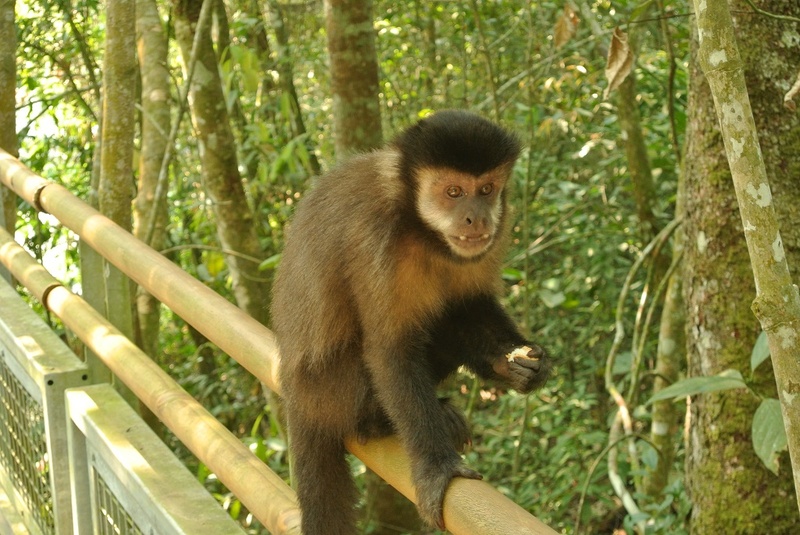 Despite the many pictures of jaguar and pumas around, we could only see monkeys and agoutis attracted by our sandwiches. 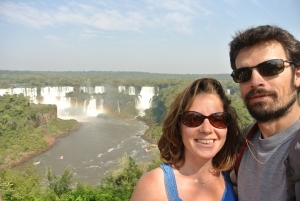 After 3 days of rest and mechanics, (including the longest oil change in the world) we leave Brazil again, but for a few days only.